Our front yard has a collection of succulents and cacti. Many of these flower throughout the year providing a nice source of nectar for our bees. 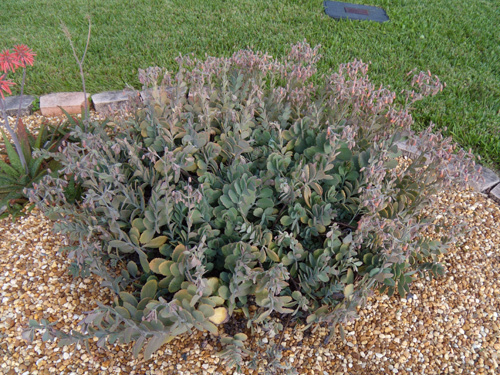 We have a large Kalanchoe marnieriana plant that produces pink-orange flowers full of nectar. 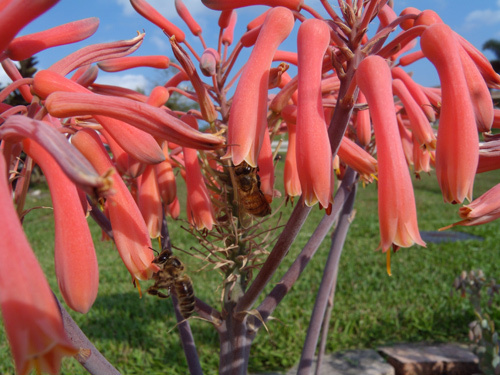 We also have several aloe vera plants that bloom. 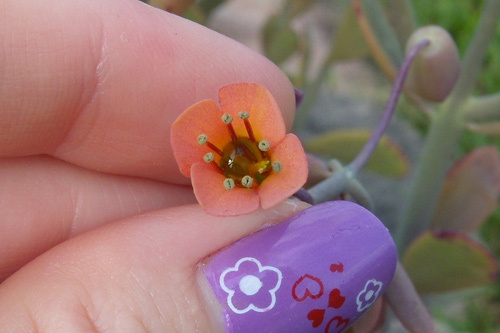 These have longer pink flowers which also provide a source of nectar. 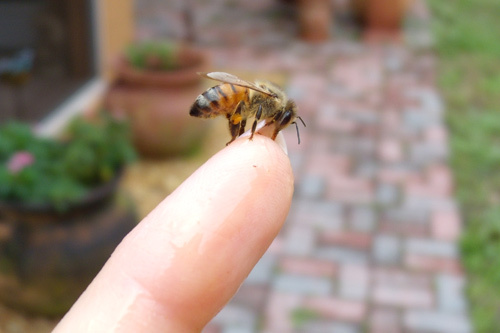 Here are two bees foraging. 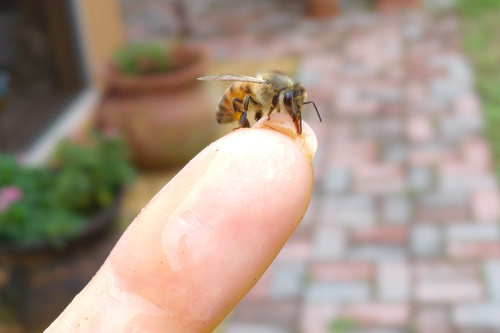 Nothing beats the joy of seeing your bees finding food right from your own yard.